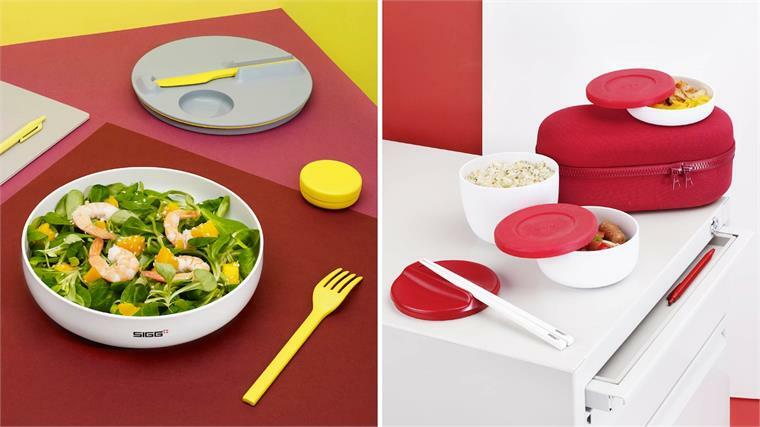 Swiss manufacturer Sigg approached students at Lausanne-based design school Ecal to develop a range of lunchboxes, food containers and accessories that cater for a wider range of global cuisines and changing eating habits. 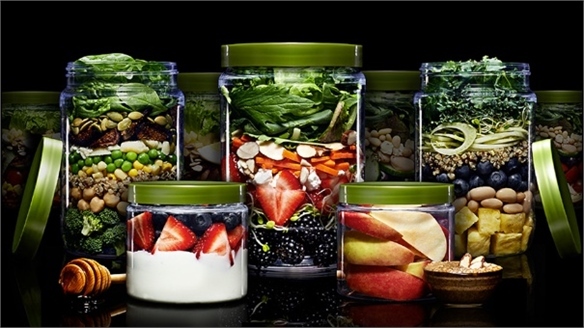 Designed in response to Sigg’s findings that more and more people are bringing food to the workplace, the 16 on-the-go concepts elevate the experience of eating at your desk. 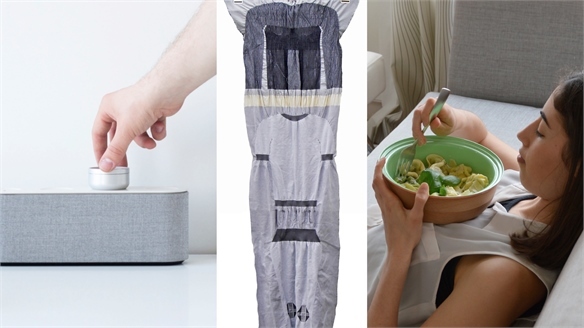 Products include a leak-proof lunchbox whose shape is inspired by a ceramic bowl, and a container with a built-in cooling compartment to keep salads chilled in stuffy offices. 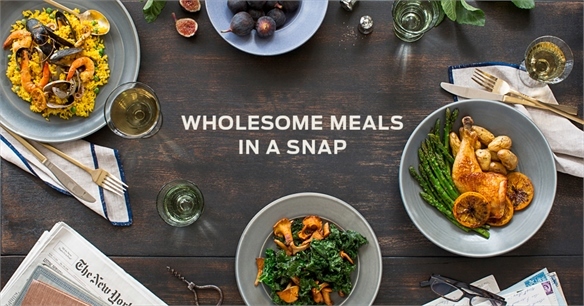 As more consumers continue to eat and drink away from home, brands can tap into this lifestyle with products that add convenience and enjoyment to the experience. 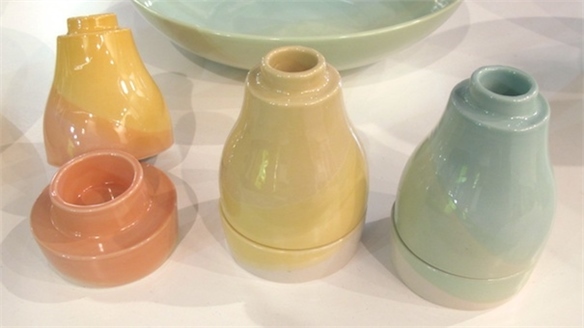 We noted growth in this sector at homeware trade show Ambiente last year – see our Trends report for more examples. Look out for similar products in our forthcoming coverage of Maison & Objet and this year’s Ambiente, coming soon. 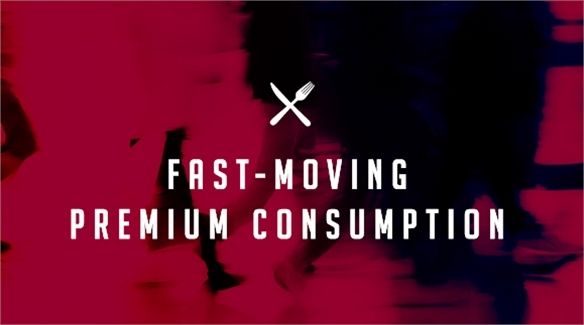 For more on a growing consumer market looking for convenience, but not at the expense of quality and luxury, see Fast-Moving Premium Consumption from our Future of Food Industry Trend. Maison & Objet 2016 Preview: Top 4 Trends Maison & Objet 2016 Preview January's edition of Maison & Objet (January 22-26) is set to encompass an ever-expanding breadth of lifestyle products. Originally an interiors and homewares event, the biannual fair now consolidates traditional craft know-how, technology and modern design trends as it evolves into a holistic lifestyle showcase. Here, we highlight the top four trends we'll be looking out for as we navigate the halls. 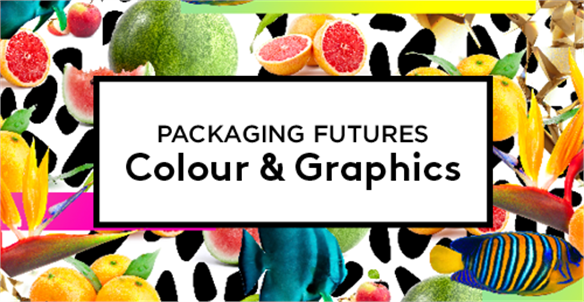 Packaging Futures: Colour & Graphics Packaging Futures: Colour & Graphic A shift away from hyperrealistic product imagery prevails as brands look to represent the emotional sensations their goods evoke. Past reliance on dominant logos is replaced by more abstract approaches to brand strategy – from intense colour, to pared-back monograms. Fresh-Salad Vending Machine Fresh-Salad Vending Machine Located in a food court in Chicago, Farmer’s Fridge is a vending machine that retails fresh salads made using mostly organic, locally sourced ingredients. As the world’s premiere homeware trade show, Maison & Objet defines design shifts in the industry. Here we outline the new colour, material, product and styling trends noted by our editors at the show. 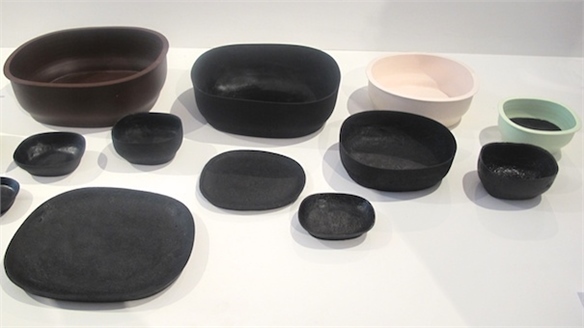 Kosuke Araki: Food Waste Ware Kosuke Araki: Food Waste Ware Spotted at London’s Royal College of Art graduate show, Kosuke Araki’s project is a tableware collection mainly comprised of food waste. Each piece is handmade by compressing food waste into silicone moulds and then drying them out. Trends Trends In reaction to the growing Asian market, an abundance of products relating to tea is evident. 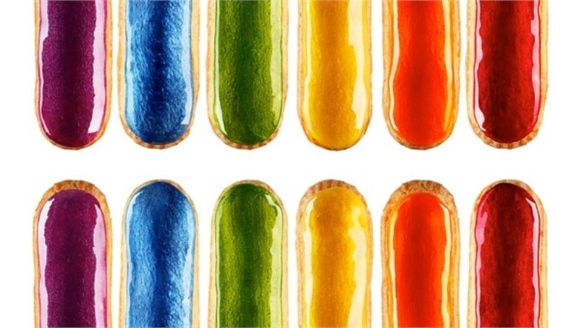 Brands also appear to be developing multifaceted and interchangeable products to appeal to more diverse markets and give consumers extra value for money. 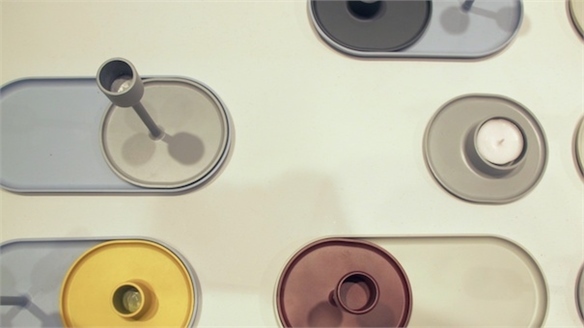 Stylus identifies the key directions emerging from the halls at Ambiente. 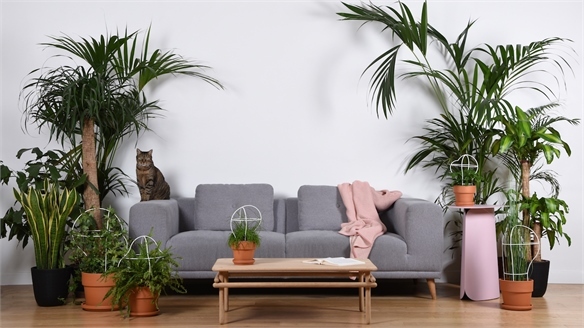 Ambiente – Homeware Ambiente Held at the colossal Messe Frankfurt, leading consumer goods trade fair Ambiente returned for another year, boasting record exhibitor and visitor figures in 2013. 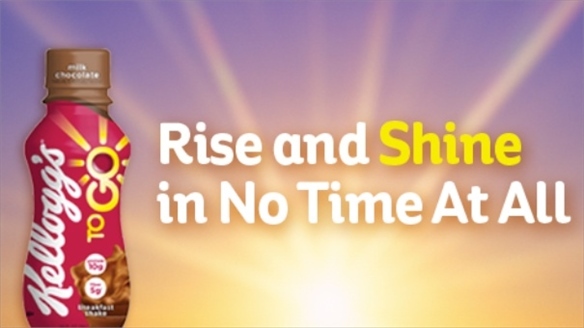 As the tough economic climate continues, brands focus on targeting the growing Asian market and consumers’ needs. Kitchen and tabletop collections are adapted and expanded as brands develop multifaceted and interchangeable products to appeal to diverse markets. 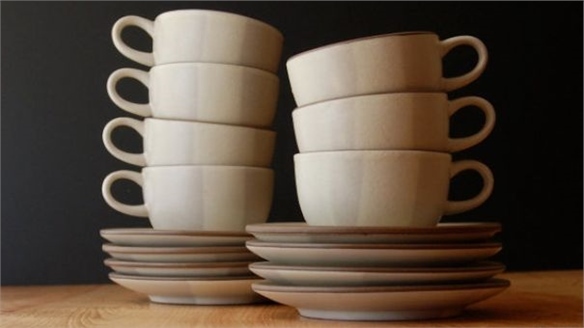 Crockery Colours Affect Flavour Crockery Colours Affect Flavour The colour of the cup from which you drink your tea, coffee or hot chocolate can significantly alter the flavour, according to new research. 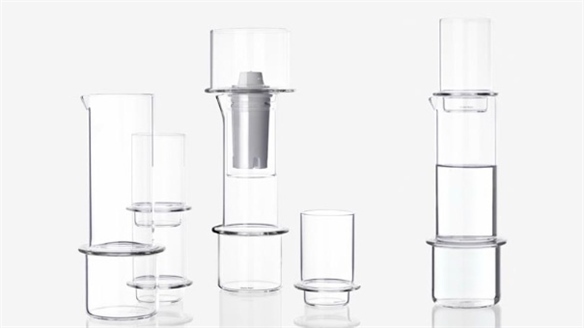 Stackable Glassware by Sebastian Bergne Stackable Glassware London-based industrial designer Sebastian Bergne has taken inspiration from the laboratory in his latest glassware collection, Tower. 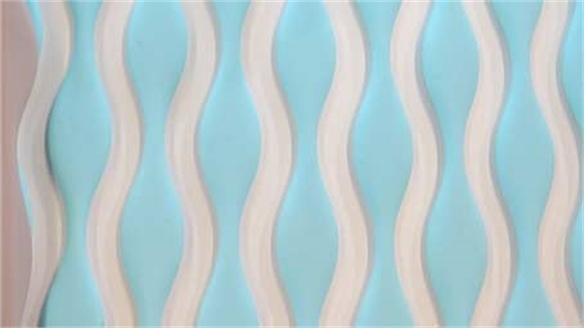 The pieces are handmade from borosilicate glass – a material more commonly used in lab equipment due to its added strength. 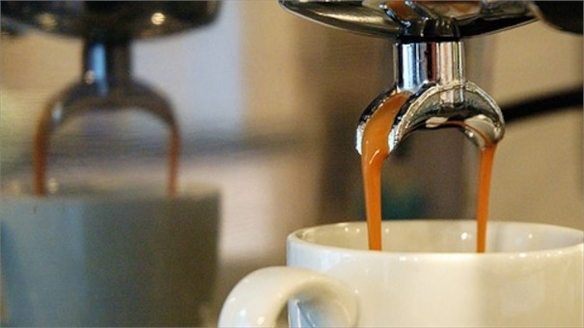 Starbucks Verismo: First Single-Cup Coffee Maker Starbucks Verismo Global coffee giant Starbucks is bringing its iconic brew into the home with plans to manufacture and sell its first single-cup coffee machine.